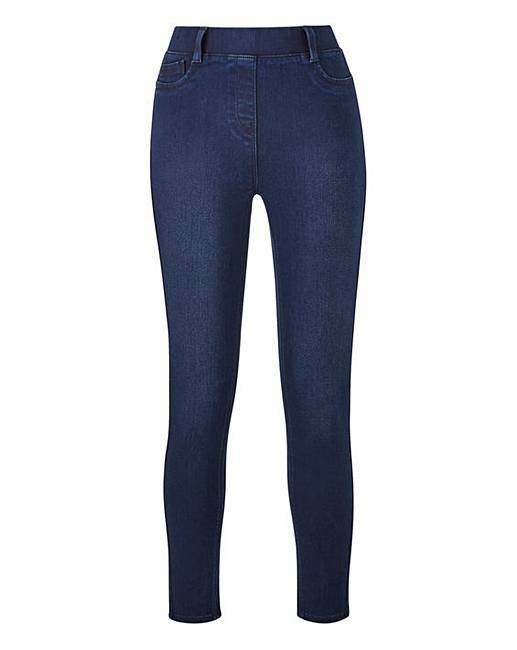 Petite Amber Pull-On Skinny Jeggings is rated 3.7 out of 5 by 146. No woman's wardrobe is complete without a trusty pair of skinny jeggings, and we're sure you're going to fall head over heels in love with our gorgeous Amber style! Get ready to enhance those curves and own the spotlight as you step into these pull-on jeggings. 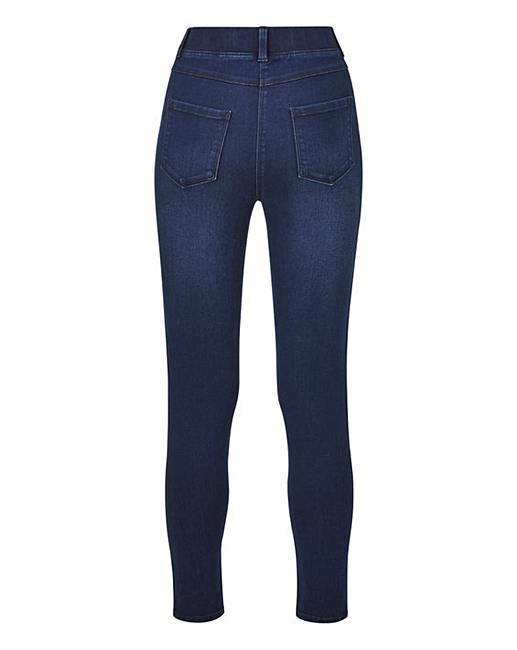 Super-comfortable and so easy to wear, these jeggings boast a flattering, skinny leg shape and flat elasticated waistband for maximum comfort that lasts all day. 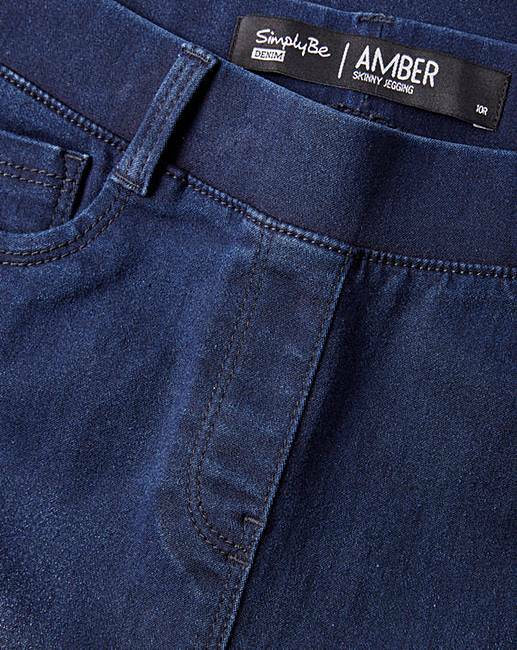 A must-have staple in your spring/summer wardrobe. Rated 5 out of 5 by Basil63 from Snug fit I bought jeggings thinking they would be baggy on my thin ( my body is big so have to get larger size to legs) legs. They looked, felt and fitted perfect. I loved them. Rated 1 out of 5 by LondonBuys from Don't bother getting the long barely pass halfway down my calves and I'm not even that tall (5'9). Unfortunately I've taken off the tag so I can't even return it. The quality doesn't seem to match the price either. Rated 5 out of 5 by marie from brilliant fit! I love these jeggings they fit like a glove and so comfy. Rated 4 out of 5 by Debbydee from Skinny Jeggings Bought this item a few weeks ago. Super comfy on my day trip to Bruges. Kept me nice and warm too! Rated 2 out of 5 by Hrj from Great jeggings, disappointing delivery I have several pairs of these jeggings. Very comfortable and easy to wear. However. I ordered a new pair for a weekend away. When I opened them they were covered in what looks like pet hair and footprints. I appreciate that people order and send back but wouldn't they be checked before sending back out? Rated 4 out of 5 by Beebachu from I wouldn't call them Long I brought these a few weeks ago and they are super comfy. However, they are labelled as long but are only 30 in length. I am a 32 in length and have discovered that most normal legnths are too short, hence why I brought the long but they are slightly too short.